The experience of mental illness can have a significant cost to individuals, their families, employers and the communities we live in. People with Bipolar Disorder/Manic Depression can learn to manage their mood swings effectively, given the necessary tools that promote wellness to lead rewarding and satisfying lives. SHARING BIPOLAR.com aim to provide individuals with the information and tools for self-care to accompany professional help; therefore allowing people to take greater personal responsibility long term and to move forward with confidence. 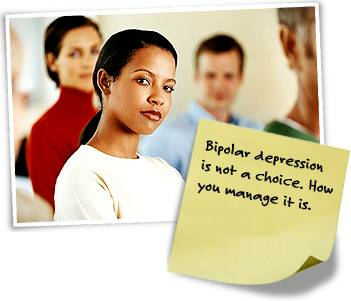 SHARING BIPOLAR.com is a “Not for Profit” organisation; Therefore we rely on people to help. Would you like to become a SHARING BIPOLAR sponsor? If this site and it’s contents have helped you in a substantial way then please consider supporting us with your time and efforts in participating here at Sharing Bipolar.com and in promoting our project. We are not a registered charity as of yet however; but as we grow and the value of our organisation becomes apparent we will look into registration with the UK Charities Register and will then accept monetary donations to assist with our hosting and advertising. Members with ‘Supporter’ status are those members that have a balanced, educated and well-grounded experience in Bipolar Disorder. We also offer an online Support Forum for open discussion on topics surrounding the condition and also encourage peer support to allow individuals to tool to share problems, solutions and experiences from the privacy of their own home. Questions SHARING BIPOLAR.com asks prospective ‘Supporters’ will be more intrusive than those posed to individuals seeking merely membership status. Should you have experience in dealing with Bipolar in a professional way, for example you are a medical practitioner, a social worker or a charity representative, please feel free to let us know and become a ‘Supporter’ on our Forum.